Red grapes are not just meant for making the world’s finest wine. There are more than 200 varieties of red grapes all over the world. Red varieties include red globe, cardinal, emperor, and flame seedless. 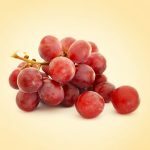 There are numerous health benefits of red grapes for skin care and hair care benefits. Red grapes contain fewer calories than green grapes. They are used to make red wine, jams, jellies, grape juice, or consumed just raw. Red grapes contain Vitamins A, C, B6, potassium, calcium, iron, phosphorus, folate, magnesium and selenium. Flavonoids are the most powerful antioxidants found in grapes that contribute to ocular health. The skin and seeds of red grapes contains resveratrol that controls the ageing process. Resveratrol is a strong antioxidant that helps to maintain the health of the skin. Red grapes possess antibacterial and antiviral properties. Thus, they protect you from many infections. The antiviral properties are also useful to fight against the polio virus and herpes simplex virus. Grapes and their seeds contain a good amount of antioxidants. They are 50 times more powerful than Vitamin E and 20 times more powerful than Vitamin C. This helps to protect the skin from pollution and toxin damage. This is also useful in the repair of collagen. Red grapes are useful for reducing uric acid. These help to eliminate the acid from the system and reduce the work pressure of the kidneys. Resveratrol, a vital constituent of red wines, is useful to treat Alzheimer’s disease. Red grapes are also useful to fight against neuro degenerative diseases. As red grapes are very rich sources of the powerful antioxidant, resveratrol, they perform the function of a blocking agent against few specific enzymes that degenerate the tissue. Red grapes contain the flavonoid known as quercetin. This gives an antihistamine effect along with an antioxidant effect. Hence, this is useful to treat many allergies. Flavonoids and resveratol in red grapes are known for their heart disease prevention properties. The incidence of heart diseases in France is the lowest due to consumption of red wine and red wine grapes. Grape juice and wine made from these too contain antioxidants such as aspolyphenols, flavonoids and resveratrol. These help to lower the risk of high cholesterol, high blood pressure, blood clots and heart-related diseases. Resveratrol increase the blood flow to your brains by 200%. Resveratrol thus helps to speed your mental responses and ability. Resveratrol has shown a positive effect on controlling cancer and it also protects your skin from the harmful UVB rays of the sun. Thus, it helps to guard against hazardous skin cancer. Red grape fruits also protect the body from radiation during the treatment of cancer. One of the best benefits of red grapes. Red grapes are the best natural way to boost your body’s immune system. Red grapes are the richest source of saponins found in the outer skin. It helps to accumulate cholesterol and stops it from being absorbed in the blood. This helps to prevent obesity and heart diseases. 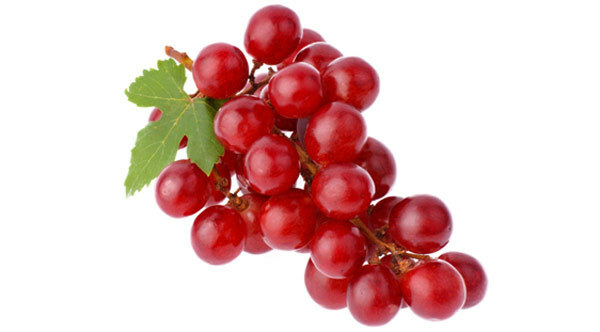 Red grapes have eminent therapeutic values that can cure asthma. The assimilatory power of grapes is high, which increases the moisture in the lungs which in turns cure asthma. Flavonoids in red grapes contain antioxidants that can lower and fight off free radicals to prevent cataract. Hope you liked our post on benefits of red grapes. Do you love eating red grapes? Do include this delicious fruit in your diet and reap the countless benefits. Stay healthy!